The healthcare industry faces unprecedented threats to personal health information security systems - and regulatory requirements are more complex than ever before. 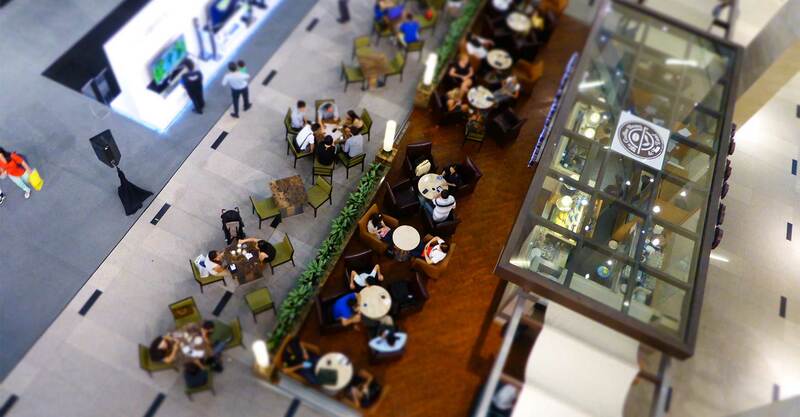 A single breach can destroy reputations and result in catastrophic losses and fines. Compass’ deep knowledge of IT security and extensive experience in the healthcare industry makes us one of the most trusted HIPAA / HITECH compliance examiners. Risk Assessments – Identify the flow of PHI, specific areas of risk, and develop remediation strategies to mitigate threat of a data breach. 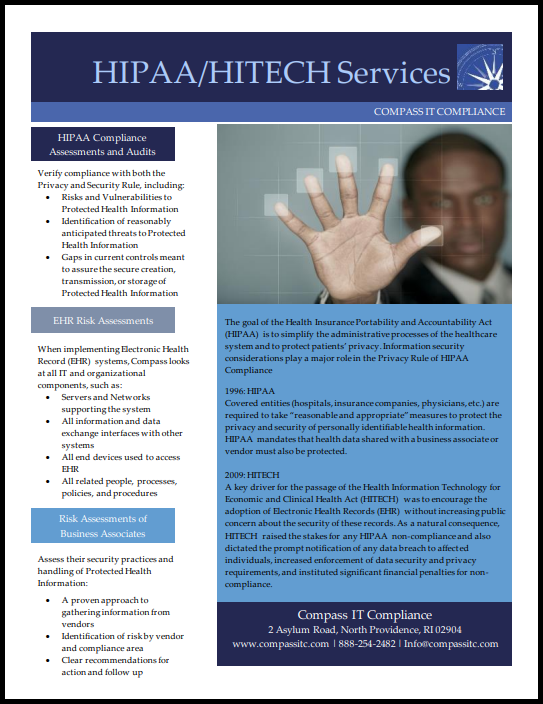 HIPAA / HITECH Compliance – Verify compliance with Privacy Rule (HIPAA) and Security Rule (HITECH), identify risks, vulnerabilities, and gaps in current controls to protect ePHI and PHI. HIPAA Risk Assessment to Satisfy MACRA / MIPS Requirements (Formerly Meaningful Use Core Objective 15) – Qualify for Medicaid and Medicare EHR financial incentive program using our custom security risk analysis and remediation strategy.